Large capacity venue for up to 1,000 guests. 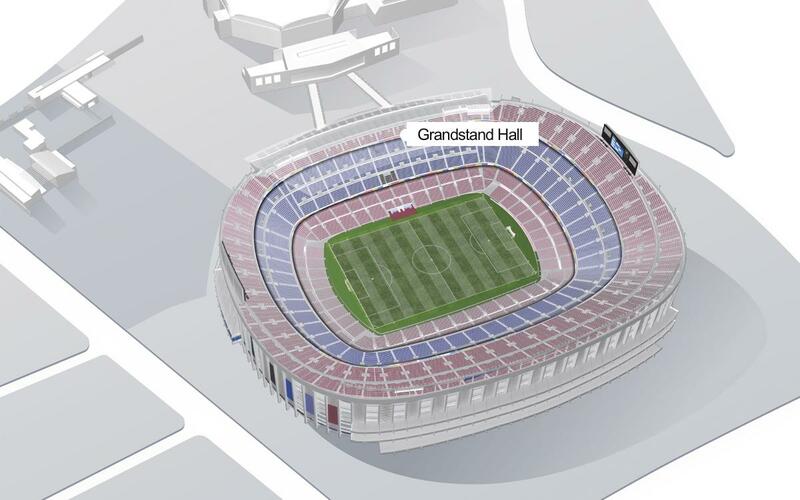 Located at the main entrance to the stadium, with unbeatable accessibility and connected to the inside of the Camp Nou via four access gates. Events held here can be personalised to achieve a high level of truly spectacular sophistication, including images on the outdoor staircase, the main grandstand the field of play.